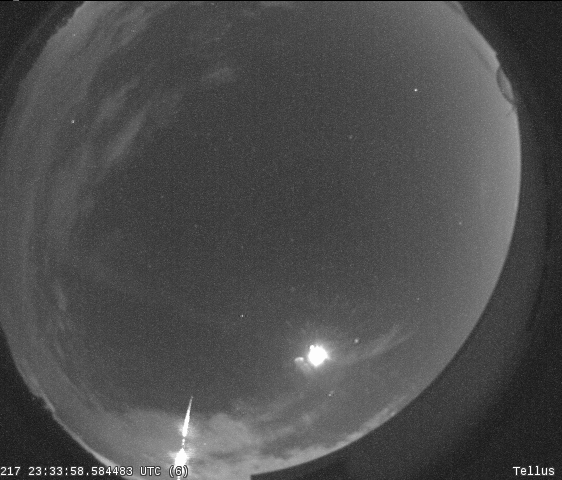 LOCUST GROVE, Ga. -- As the hunt continues for pieces of a meteor that lit up the sky above Georgia on Thursday, astronomers with Tellus Science Museum are offering tips. The Cartersville-based organization, which is part of a NASA network of sites that have cameras looking for meteors each night, caught the object on video as it streaked across the sky around 6:30 p.m.
Screen captures from the video were later shared by NASA who added that pieces of this large space rock may have made it to earth. And it appears the prime location to find these fragments - meteorites once that make landfall - could be in and around Henry County, Ga.
Tellus officials said the bright meteor, dubbed a fireball due to its brightness, passed over McDonough, Ga. and landed in the Locust Grove area. Resident Dylan Fernandez said he heard it sizzle by. "Sitting in my room, my brother and I heard a big old 'kaboom' and I was like, 'Did you hear that?' And he said, 'Yeah, I heard that.'" For others, the evidence of the meteor came from online posts. And so began the search for the remains of the Georgia fireball. So what exactly does a meteorite look like. Tellus astronomers have a few pointers for those looking to find one. "If you think you found a fragment, first check that it is magnetic, solid - has no holes, is heavy for its size and has a shiny black exterior," Curator Sarah Timm said. "If your rock meets these criteria, we invite you to contact the museum." They can provide an official site identification. Still, it's going to be a tall order to find the remains of the meteor for anyone that plans to take on this tall task. 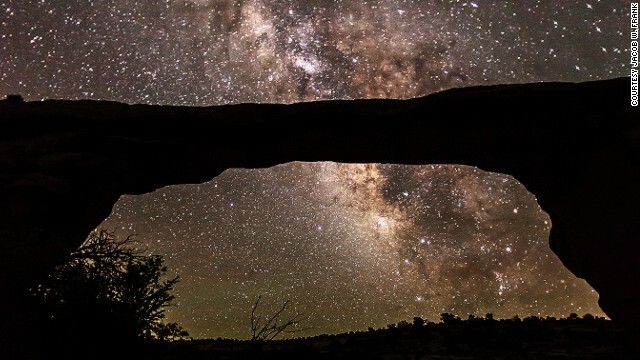 "The odds are against you," Scott Harris, staff geologist at Fernbank Science Center, said. At the center, meteorite hunters can see one from Locust Grove that has already been found - but from a different meteor from the year 1857. "The chances of some very small rocks falling is very good," Harris said. "But the data suggests that not a lot of material, probably less than a kilogram, made it to the surface." That's a very small amount considering the meteor was estimated to be 150 pounds when it first entered the atmosphere - itself likely breaking lose from a larger asteroid in space. But with the extra eyes on this particular shooting star, Harris hopes those rocks turn up - though his interest and that of the general public may be a tad bit different. "The public's interest in, 'Wow, something flew through the sky and how much money it's worth,'" he said. "We're interested in what does it tell us about the beginnings of our solar system and this planet." As for the value, he said it's "not worth as much as you'd want it to be." Either way, the meteor seems to have served as a great way to end an already exciting time for those with their eyes on the skies. 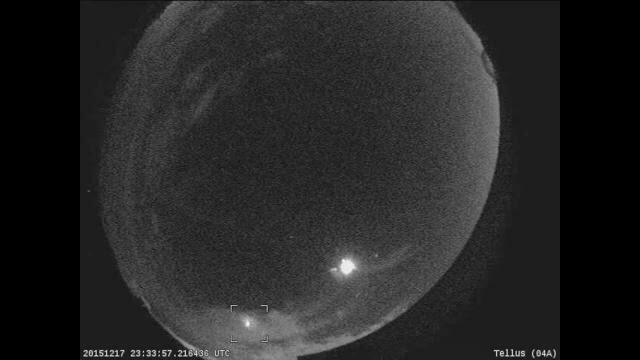 Tellus Astronomer David Dundee said that this meteor was not the norm but that it has been part of a fairly interesting spectacle in the skies in recent days. 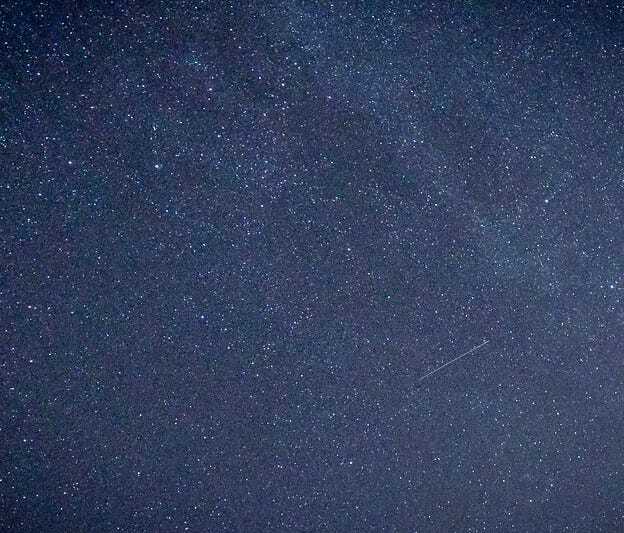 Perseids meteor shower seen from Hanover, Pa.